Studying cardiovascular pathology has never been so easy! Lecturio's integrated cardiovascular pathology course will not only equip you with knowledge of the most important diseases related to the cardiovascular system, but will also build bridges to related medical sciences, providing you with the deepest understanding of all cardiovascular pathology topics. Dr. Carlo Raj, an expert in preparing medical students for their exams, will ensure that you will be able to successfully solve clinical vignettes on the USMLE Step 2 and your NBME Shelf exam. 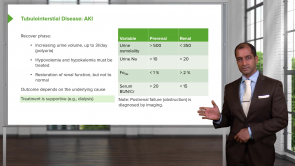 Learn with self-paced high-yield video lectures, quizzes, clinical pearls and valuable mnemonics to raise your test scores! 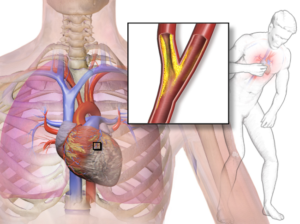 Vasospastic angina is a variety of angina pectoris (chest pain) occurring at rest in which myocardial ischemia is due to transient vasospasm, with or without any underlying pathology. It is one of the syndromes that cause ischemic myocardial pain (angina pectoris), the other two being stable and unstable angina. Although rare in comparison, students are expected to know about it for the purposes of USMLE, as well as for their clinical knowledge. 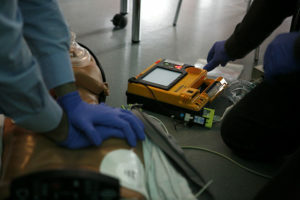 Myocardial infarction is one of the most common causes of death in industrialized countries and requires immediate intervention, according to the principle “Time is Muscle”. 40 % of all patients die before their first post-infarction day, and 50 % die in the first four weeks. 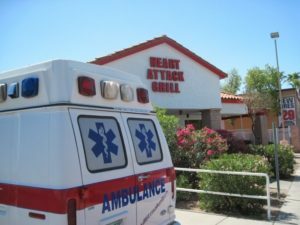 Early detection and swift action are of crucial significance, especially in the case of ST-segment elevation myocardial infarction. Acute coronary syndrome is defined as acute anginal pain because of partial or total occlusion of one or more coronary arteries due to advanced coronary heart disease. Three clinical entities can be identified: Unstable angina (UA), Non-ST-segment elevation MI (NSTEMI) and ST-segment elevation MI. They can be differentiated based on the ECG changes and the cardiac markers. 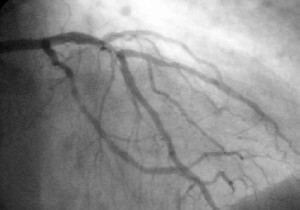 ACS is initially managed medically with a well-known algorithm. 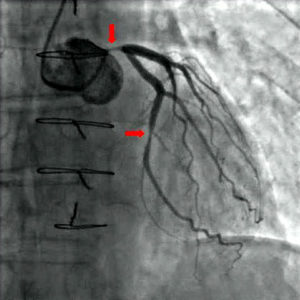 Revascularization of the coronaries either by cardiac catheterization or surgery should be planned as soon as possible. The main symptom of coronary heart disease is angina pectoris, which can be divided into a stable and an unstable form. one of the best lecturer that i have seen. thank you very much,the way he is doing easy to remember all the facts. fantastic teaching method, love the practical examples and slight humor, wakes you up. Great lecture, First Aid explained! Very good lecture about the MI chronology. The Professor explains very well what we can read in "First Aid". great lecture. repearting important thing again and again. lecture looks like static but it is not. He actively ask something and waiting your thought to help you understand. Excellent video! I like how Dr Raj explains every detail. Perfect source to learn! Clear and concise. Dr Raj has an engaging and interactive method of lecture that helps make this topic much easier to understand. He repeats stuff a lot (in a good and memorable way) which makes me remember and understand the lesson easily. Plus he has good sense of humor! "Now once this patient is giving you such a history, what would you want to give that patient automatically? You give this patient something in which there is going to be relief from the chest pain. Correct? What does that mean to you? It means underneath the tongue anytime that there's chest pain, you place nitroglycerin correct? Sublingual." I'm sorry, and i really don't want to sound rude, but this is not how a professional teacher should speak. When i hear this i just get very confused, and i already have my teachertoconfuse me. Dr. Raj use this rethorical questions all the time and they're very annoying. What i like about lecturio's lessons is the fact that almost all the teachers use very easy sentences when they speak, and they use a lot schemes and pictures to be more clear.